Sign up for Broadjam today to follow MJ, and be notified when they upload new stuff or update their news! MJ recently released I’m Not Gone, the follow-up to their debut EP No History. Mariya's voice flows effortlessly through each track liking her to Avril Lavigne or Kelly Clarkson. 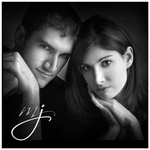 MJ’s songwriting and musical production reflects their maturity as a group and as individuals. So you can let me in instead. Don't pretend you're not home. I wanna wake you up when your sleeping. I wanna make you talk when you don't know what to say. Don't pretend you can't hear. Can?t you see It Isn?t Real? Didn?t you feel like you were part of me? When did we get plastic surgery? I thought I meant something to you, so why am I here all alone? This nightmare I?m having has gone on for long enough. You?re not thinking of me so I?m better off alone. And I won?t miss you. How ?bout a review? and all your chances have run out. That nightmare was over when I said I?d had enough. Let me introduce myself, What?s Your Name? But now I?m not so sure where we?re going to.